Want To Become A Certified Google Adwords Professional? Get FREE pro tips on passing the Google Adwords Certification Exams first time in the 5 day Google Adwords Challenge with Gemma Purnell. Get the confidence to charge more as a freelancer, request a pay increase from your boss or simply get better ROI on your own Adwords campaigns. 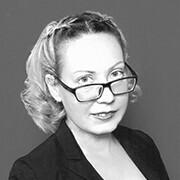 Gemma Purnell is a Google Partner Academy Trainer & Google Certified Educator. She has trained hundreds of students to pass the Google Adwords Exams and become Certified Google Adwords Professionals. Get her top tips on how to prepare for and pass the exams sent direct to your inbox completely FREE of charge. The 5 day Google Adwords Challenge starts on 15th February…see you there! Gemma was brilliant at explaining complicated subject in simple words and made it easy for anyone to follow the steps and understand.Two days after I finished the course I was able to launch my first campaign for my property business. I joined the course with the goal of becoming Google Adwords certified and was lucky to have Gemma on my side through training and exam as she encouraged, inspired and cheered us on more than your average teacher.